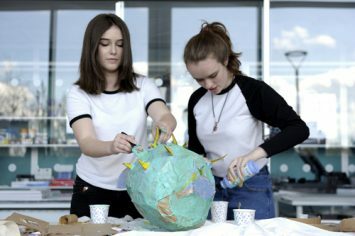 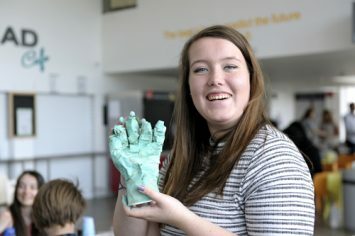 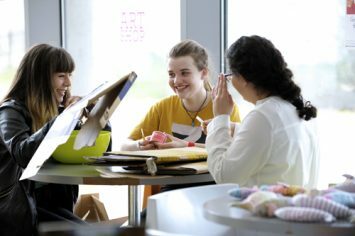 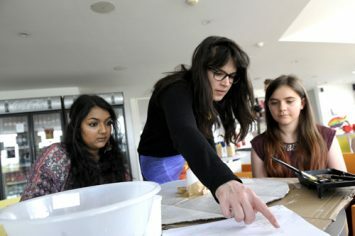 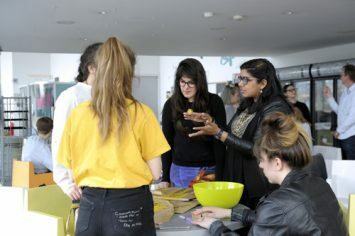 The University of Lincoln’s Art&Design Club were given a Masterclass by architects Maddie Kessler and Manijeh Verghese. 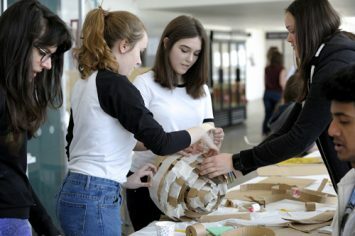 They began with short presentations about their journeys through study and into work, while also providing a definition of architecture: from cathedrals to corporate skyscrapers, from temporary pavilions to the most basic shelter. 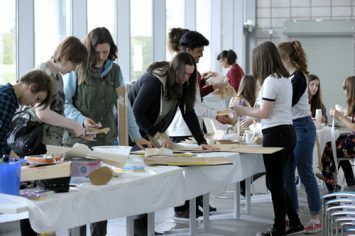 The Club at Lincoln had been working on a year-long project based on Grayson Perry and Charles Holland’s House for Essex. 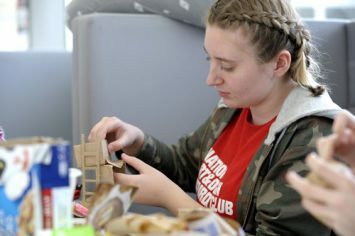 Lead tutor Ali Shepley had briefed Maddie and Manjieh about the Club’s ‘House for Lincoln’ project beforehand , and set out examples of the textile fish, embroidered fish portraits and vehicles/houses they have made so far. 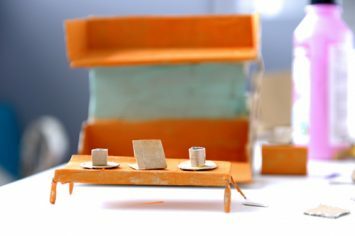 Maddie and Manijeh explained that their Masterclass would involve making objects and furniture to go inside their House for Lincoln, using gumstrip tape to make quick models. 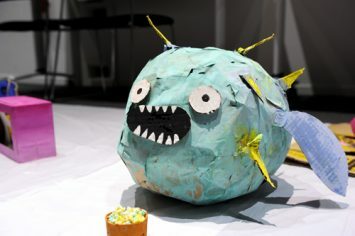 They talked about the importance of scale, making sure to refer to their fish models and houses. 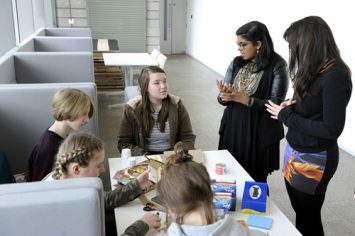 The members worked in groups of 2, 3 or 4 to create objects and felt confident to start modelling straight away. 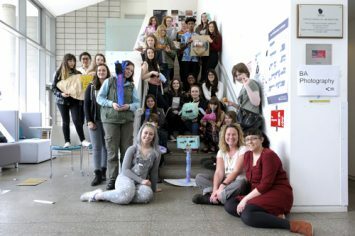 Their responses were very varied – a bunk bed sofa for watching tv, a plane with a side car, a puffa fish, unicorn-pig, hand seat, a bed formed like an oyster – all were designed for the fish residents of the house.